From swimsuits to sunglasses to sepia-toned camera settings, summer style has taken a major hint from seasons past. To complete your look, we've compiled a list of used book stores in NYC to check out before you depart for your summer travels - whether you're in for a Hampton Jitney ride, a foray through Central Park, or an afternoon at Rockaway beach. 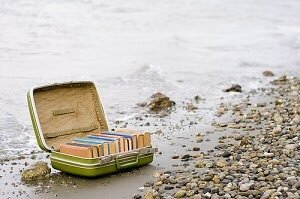 So give your iPad and Kindle a rest, bookmark some of these spots, and start reading - retro style!